TBMM [The Grand National Assembly of Turkey – Trans.] Commission on Equal Opportunity for Women and Men discussed, in yesterday’s meeting, the proposal that a Human Rights and Equality Foundation of Turkey should be formed as a subsidiary organ in order to focus on protecting and improving human rights based on individual’s dignity, to ensure their right to be treated equally, and to prevent discrimination in benefiting from lawful rights and freedom. Based on the Turkish daily Hürriyet’s news, Candan Yüceer, Republican People’s Party (CHP) [opposition party – Trans.] 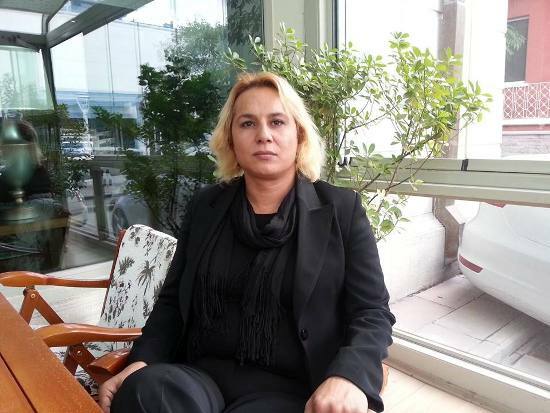 Tekirdağ MP, stated that lesbian, gay, bisexual and trans individuals are faced with discrimination and killed. Yüceer further added that overlooking this problem, and interpreting the recommendations listed in the international agreements would mean ignoring the individuals who are being discriminated against. Filiz Kerestecioğlu, Peoples’ Democratic Party (HDP) [opposition party – Trans.] İstanbul MP, emphasized that sexual orientation and gender identity must be included in the proposal, and that turning a blind eye to these individuals would not simply make them disappear. Kerestecioğlu stated, upon hearing Doğan’s remarks, that she is “flabbergasted, and could not believe her ears,” and that she finds them utterly odd. A trans woman was discriminated against this morning [September 19, 2014] prior to a press conference to be held by the CHP (Republican People’s Party) MP Aykan Erdemir at the Turkish Grand National Assembly. The woman who wished to attend the meeting concerning LGBT (lesbian, gay, bisexual, trans) rights was asked to go through security checkpoint designated for men on the grounds that she carried a blue identity card.